Dog eye infection can be a common concern. There are several signs of dog eye infections that you should be aware of. As a dog owner, it is important that you keep tabs on the ocular health of your dog especially if he has preexisting health concerns like allergies or other illness that makes him vulnerable to infections. 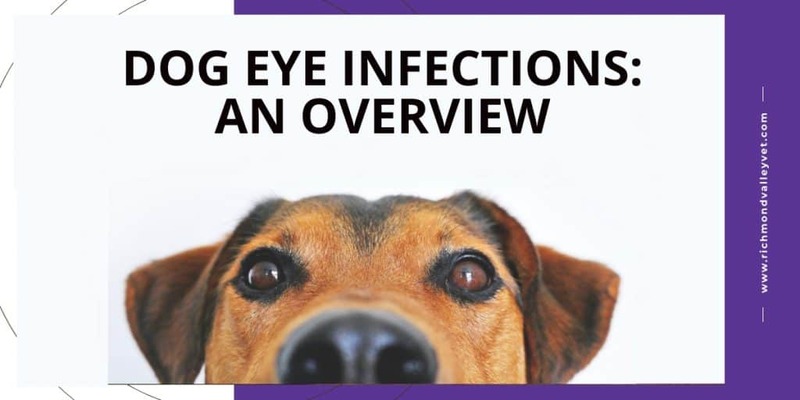 It is ideal to be knowledgeable about the different aspects related to eye infections in dogs like the symptoms, types and the treatment options. Conjunctivitis: Conjunctivitis in dogs is similar to that in humans and is characterized by inflammation and watery discharge from the eyes. Factors like allergies, tear duct issues or birth defects can trigger conjunctivitis in dogs. The treatment of the condition varies with respect to the factors that triggers it. Epiphora: Epiphora or excessive tearing is one of the common eye-related concerns in dogs. The symptom of this health concern is smelly watery discharge from the eyes. The infection causes pain and inflammation. Dry skin: dry skin is another eye infection found in dogs. The scarcity of eye cleansing tears causes dry eyes. The concern also leads to inflammation and mucus. The lack of eye cleansing liquid leads to the absense of lubricant between the eyelids and and the eye surface, this can leave scratches on the eye surface. There are several precautionary measures that you can rely on to alleviate the concern of canine eye infections. Try to prevent head trauma and make sure he is not exposed to any chemical fumes or chemicals like house cleaning solutions or bleach. Beware of foreign objects when you are driving with your pooch and he has the habit of peeking out through the window. It is recommended to keep the windows closed while travelling with your canine. Make sure that your dog’s face is always clean. While grooming your dog, make it a point to trim of the extra or bushy hair surroundings his eyes or the eyelids. Once the cause of the concern is sorted out, the veterinarian will help you to develop a treatment plan. The treatment plan usually consists of administering topic treatments, antibiotics, application of ointments or eye drops. Caring for your dog’s eyes is really important. You should be aware of the fact that vulnerability to eye infection can vary with respect to the breed type. For instance, flat faced dogs are more vulnerable to eye infections or related health concerns due to their anatomical build.